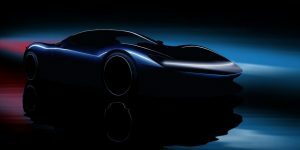 The Automobili Pininfarina e-super sports car – previously known as PF0 – will now bear the name Battista and celebrate its premiere at the Geneva Motor Show in March 2019. In the meantime competitor Lotus is following suit with its own fully electric super sports car. First place goes to the Battista: Pininfarina not only reveals the name but its performance data too. The Battista’s electric motors are made by Rimac – and they seem to come from a different league altogether. Sporting a carbon fibre exterior, the e-super car will have an amazing power output of 1,417 kW and a torque of 2,300 Nm, enabling it to accelerate to 100 km/h in less than two seconds. The top speed is said to be over 400 km/h, the maximum range almost 500 kilometres. Battista will probably be produced in a small series of 150 units, each with a cool price of 1.75 to 2.2 million euros. The company has confirmed that 50 units will each go to the USA, the Middle East and Europe. Pininfarina has just brought its hyper-car out of the Italian design studio and the company wants it to make a mark. Further luxury models will follow – including the e-SUV PF1, for which the Italians called upon the support of US carmaker Rivian, who just recently introduced an e-pickup and an e-SUV. The development of the super sports car is currently being coordinated from the company’s new headquarters in Munich, but the Pininfarina Battista will be made in Italy and come off the assembly line at the company facility just outside Turin in 2020. The first designs also came from Italy at the company’s studio, which gave a foretaste of the Battista for the first time this summer. Automobili Pininfarina is headed by the German manager Michael Perschke. Meanwhile, according to information from Autocar, British carmaker Lotus is also planning to build a fully electric super sports car. This will be developed under the codename Omega, and a sketch of the car should be presented in 2019. Lotus plans to offer their super electric sportscar in a strictly limited number at the beginning of the next decade. The manufacturer, in which Geely holds the majority of the shares, is also likely to go for around 2 million euros.